We've learnt a lot from this amazing tournament. And there we have it. 64 games and 169 goals after that first whistle was blown in the Luzhniki Stadium back on the 14th of June, the 2018 FIFA World Cup has come to an end. It's been an amazing tournament, with plenty of upsets, many memorable matches, and a particularly thrilling final. Football fans won't have to wait too long for the new domestic season to get underway, but the international game has captivated the hearts of millions of people all across the globe in these last few weeks. 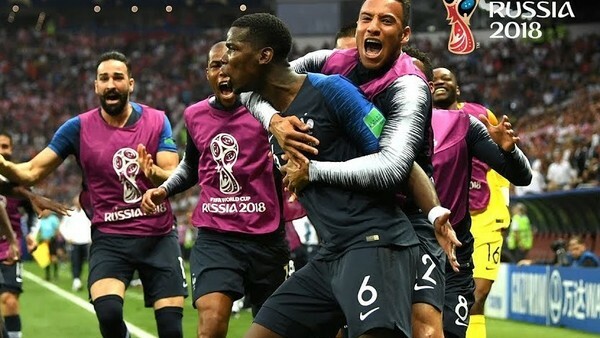 Even people who normally don't care all that much about the sport tuned in to support their nation and follow one of the most surprising and exciting World Cups we've seen in quite some time. We learnt a lot from this tournament, and there's plenty to ponder in the four years that separate us from the next World Cup in Qatar. There'll be lots of time to think about that tournament and how it might play out, but for now let's look back over the last month and at some of the key talking points from the 2018 World Cup.